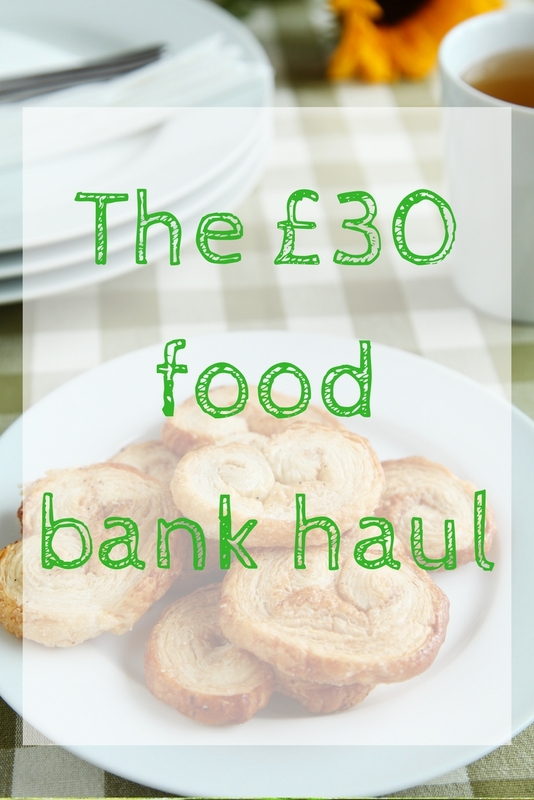 Today I am going to be sharing a very personal story with you, surrounding food banks. 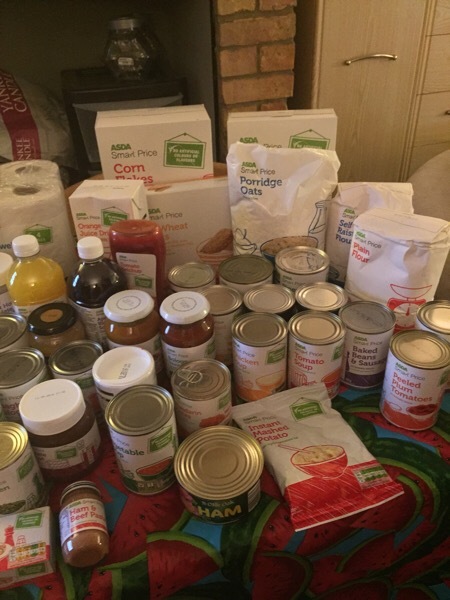 This all came about from Think Money getting in touch and asking me if I would like to write a post about how much £30 can buy you to donate to a food bank, to tie in with their article about rising food poverty in the UK. They kindly supplied the £30 used to purchase the items and left me to do. I was brought up observing the sheer determination that my Mum had. I remember her visiting supermarkets and factories, asking them for free food for her ministry. She wouldn't take no for an answer and we always left with amazing donations. Growing up in South Africa, poverty was everywhere we turned and when we came back to England there were still times where we had to rely on a food bank. My mum continued to help people out with food banks, setting up two more in England alongside the churches she was in. Along with dropping off food parcels to those in need, my mum offered practical help wherever she could. I remember typing up CVs for the people she was helping, babysitting and when I passed my driving test I was even driving the people she served to various appointments. Even now, I find it embarrassing to admit that we relied on food banks at various stages of my upbringing – you might see tv programs showing how some people are unashamed about getting food from food banks, but for most people it is hard to admit that they have a need. 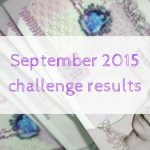 Whilst right now we are enjoying the “high life”, having two incomes, low outgoings and no children, I am always aware of how easily things can change. With the £30 that Think Money provided me, I decided that I wanted to buy some treats for the food bank. We buy a lot of economy branded items, not because we have to, but either because we prefer the taste or we want to spend our money elsewhere, but I wanted to give something nice to those in need. I decided to do the shop online so that I could easily stick to the £30 budget – shopping online allowed me to review the trolley before checking out. 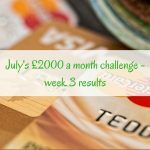 I started adding a few nice treats and found that I had reached over £20 with just 12 items. Of course any donation to food banks would be great, but I realised how much further my money would go if I stuck to economy brands. Switching to economy meant that I was able to buy a ton more products. Even better, because I had ordered items online, I managed to get some substituted free of charge for the better brands. I tried to get a wide variety of items, including vegetables, fruit, household items and a few treats. This lot filled my car boot for just £30! I still cannot get over how much food I managed to get for just £30! After photographing the items we took them to a food bank collection in Sainsbury's – only to witness someone steal something that we had just put into the food bank collection trolley! I was so in shock that I am ashamed to say that I didn't even do anything about it apart from stare at the person with my mouth open in shock. Even if you cannot afford to donate £30's worth of items on a regular basis, I encourage you to try to pick up something on your next shopping trip to donate. There are donation collection points in a lot of supermarkets, so you can just drop your donation in on the way out. I love you post – I am horrified someone actually stole something from the food bank collection – and so blatantly when you had put produce in there!! It is such a shame foodbanks have almost become a part of our society and I’d hope we’d be in a position where they weren’t so necessary for people in need. I remember when we were in debt we had so little food but a few years ago foodbanks weren’t so prominent as they are now and I’m sure, like you I’d have been a bit ashamed to visit one let alone admit i used one. I am lucky to now be in a position to help others and you have given me a push to make sure i contribute to foodbanks more regularly. What an amazing amount of things for £30! I just wish it was easier to donate to my local food bank – it’s only open for donations in an hour window twice a week. I think more supermarkets (at least where I live) should have dropoff bins to make it a lot easier, it would probably encourage more people to donate! Thank you for sharing this with us. Growing up money was tight although my father ran his own small business. He always insisted that all stock was paid for, workers paid and business premises rent paid before money was taken out for our living expenses. 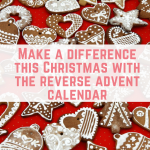 My Mum suplemented the money coming in by being a caretaker for 2 places of worship and through that became a sort of unofficial meals-on-wheels for a number of our immediate elderly neighbours. The meals coming from what she had for us and veggies/fruit from the garden. She instilled the fact that however poor you perceived yourself to be there was always the capacity to help others out. 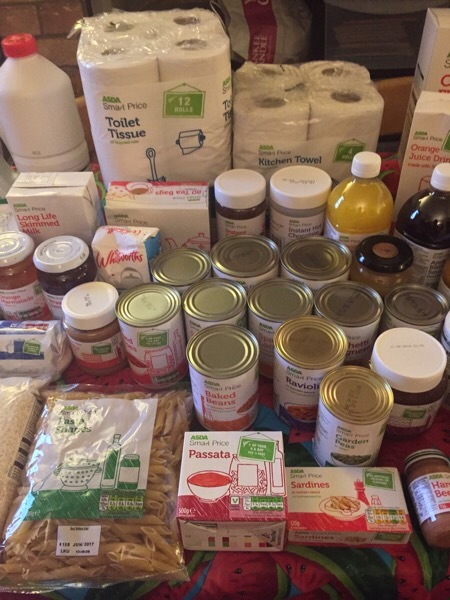 I get a little confussed with Food bank “protocol” Can you only donate items that you have purchased in a store to the instore foodbank or can you add items from other supermarkets in? eg can you only donate Tesco to Tesco? There were never any Food Banks when I grew up and now there are loads of them. It is disgusting that we even need such a thing. It annoys me greatly to see them everywhere. In this day and age no one should ever need to use one. That was a good amount of food you got for £30 but I am absolutely disgusted that someone went and stole something from there. I think I would have gone and reported that to a member of staff if I saw anyone do such a thing. People are so selfish sometimes just taking the opportunity to get something for free that they have the gall to steal something that is meant for someone who cannot afford to eat when they have plenty themselves. I always try and stick something in whenever I am in a Supermarket that has a trolley for Food Bank Donations. Even if it is just a packet of pasta or a tin or beans it is good to do something to help others. Good post Emma, and stealing from a food bank donation, yes low, but let’s hope they were really in need and didn’t know how things worked. In the US, while they gladly take food donations, they also encourage just plain cash as opposed to people or groups shopping for the food bank, because they have arrangements with many grocery retailers and can buy food for pennies on the dollar to stock their shelves, and then they stock with items in most demand. Giving anyway you can is needed though so all should jeep on making those donations. I love this post so much. 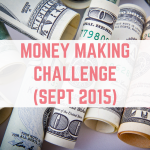 It goes to show that you can make a difference with a small amount of money. 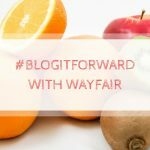 It’s amazing how far it goes when you switch to unbranded items! 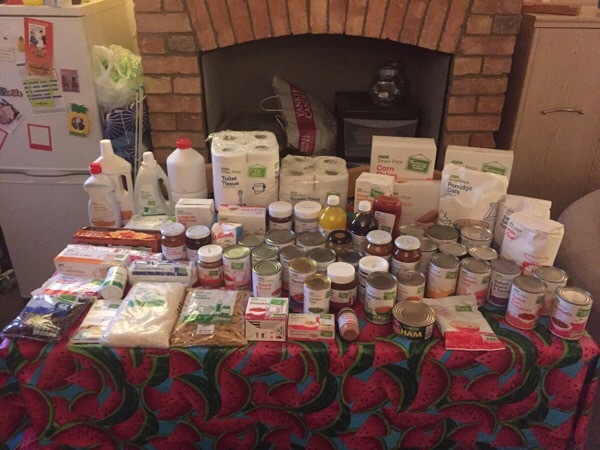 It’s a sad fact that there’s a need for food banks but it’s good to know that you can get this mega amount of food with £30. Well done! I haven’t seen a food donation bin at my supermarket, I’ll request one if there isn’t one there! 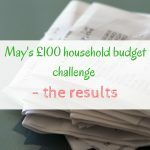 This is a really great post Emma, it’s also amazing what you can donate for just a few pounds when you are buying savvy. 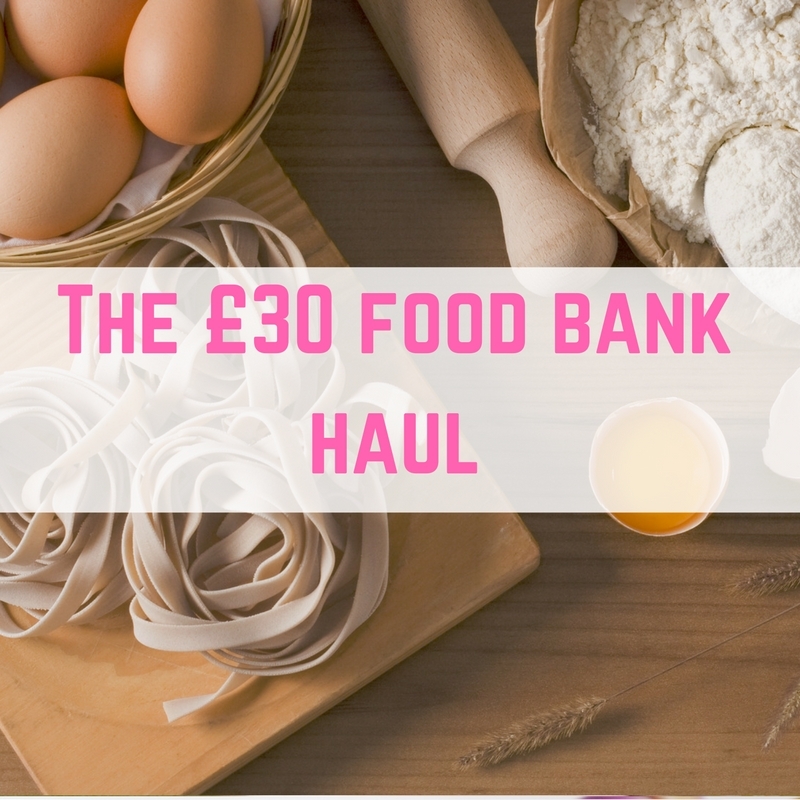 I cannot believe how much food you got there for £30 that’s incredible!I have been thinking how can I do more for those less fortunate, I’ll definitely be grabbing some stuff to take when we go shopping. Very inspiring stuff!